Cross, west face, detail from the bottom of the shaft. This is the panel at the bottom of the shaft. 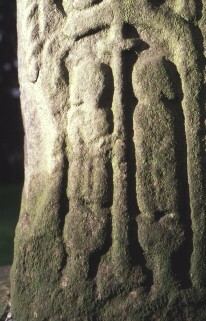 It has two figures standing on either side of a cross on a long staff.